Acne isn’t always an affliction that disappears as we leave our teenage years behind. Unfortunately, adult acne is very prevalent today, and I see clients who have enjoyed clear skin all their lives, only to recently develop acne. The solution to acne doesn’t have to be expensive products or strong prescriptions. Consistent, thorough treatment at home is often enough to kick acne to the curb. 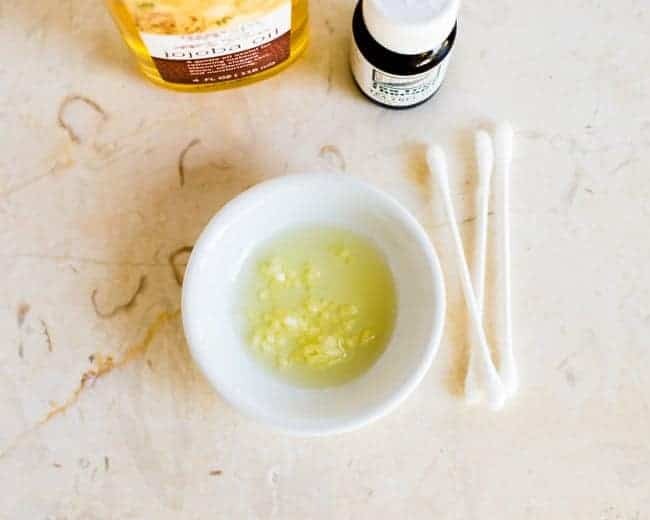 Give a few of these simple, easy to make at-home acne treatments a whirl the next time you are battling acne. In addition to these DIY acne remedies, another way to reduce inflammation in acne is to examine your eating habits. Are there any foods that are contributing to inflammation in your body? I usually recommend reducing dairy and red meat consumption and evaluating after a few weeks to check for improvement. Increasing your water intake is also a very easy and inexpensive way we can all improve your skin. I know water can get boring, so change it up a little! Infusing water can motivate you to drink those ounces and help flush out toxins from your skin. 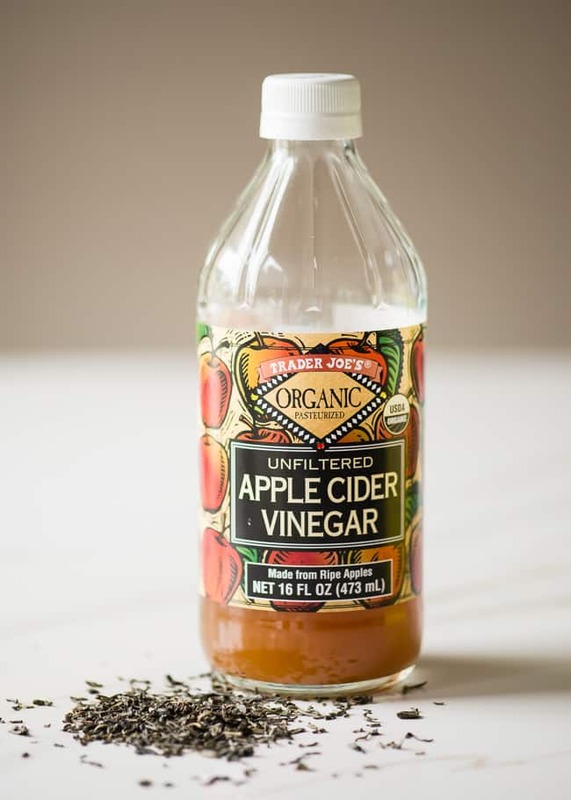 I like using ACV as a toner because it is effective for my skin when treating acne. I am using tea tree oil when making DIY skincare recipes and so effective for my skin as well. I have not tried using tomato and refined sugar yet, and I am planning to try this. How many times in a week should I do this? Thanks! I am definitely gonna give the tomato scrub a go today. Its amazing to do so much more with easy remedies. The tomato scrub is like the easiest way to scrub. 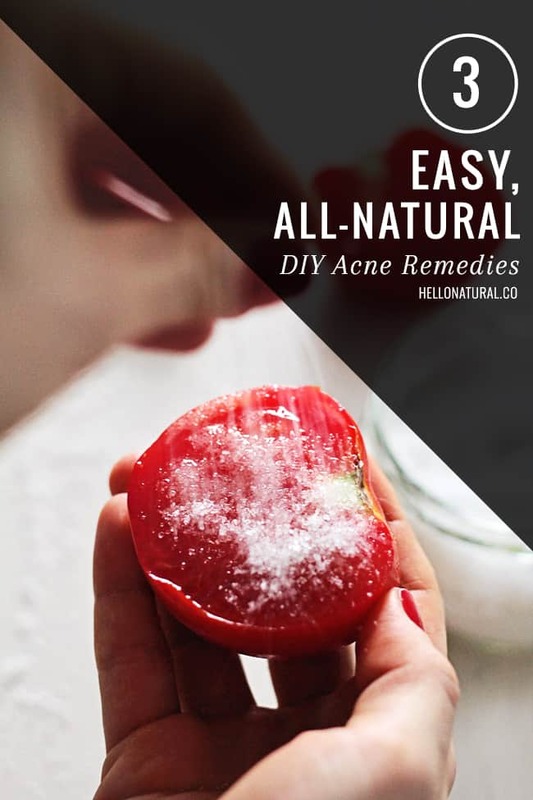 Thanks for each of these natural ways to treat acne. I’ve been looking for some good treatments for my son and I’m going to give a couple of these a try. There are days I could use them, too, so I’m sure I’ll try for myself as well!